Ecocelta S. L. Galician is a SME dedicated to the manufacture and marketing of fertilizers and organic amendments for use as fertilizers in agriculture and gardening. 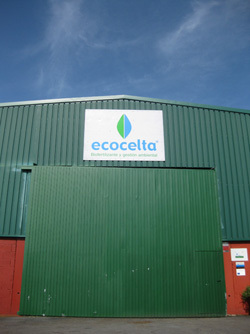 Ecocelta recycles organic waste through composting and vermicomposting (worm composting), maintaining a commitment to the environment and always working under the premise of sustainable management. Ecocelta products are completely natural, with absolutely no additives or synthetic nutrients, and are powerful fertilizers which return essential nutrients to the soil,including organic matter and microbiota. Many of the raw materials used would otherwise be wasted in landfills or incinerated, hence the importance of the company's environmental work. Among the services offered to customers and clients, Ecocelta stands out for its environmental management of organic waste through composting and vermiculture, along with R&D projects with organic debris. We also provide top notch consulting on operating vermiculture plants for commercial use and waste management. Taking an active part in the defense and conservation of nature and resources, Ecocelta develops environmental education activities such as seminars, courses on recycling and worm or guided tours of the facility. We believe in this commitment to the environment, understanding that environmental education plays a crucial role in a society committed to the protection of the environment now and in the future. Ecocelta offers the service of on-farm manure application to individuals and companies (vineyards and greenhouses). We have specially designed machinery for the application of organic fertilizers.